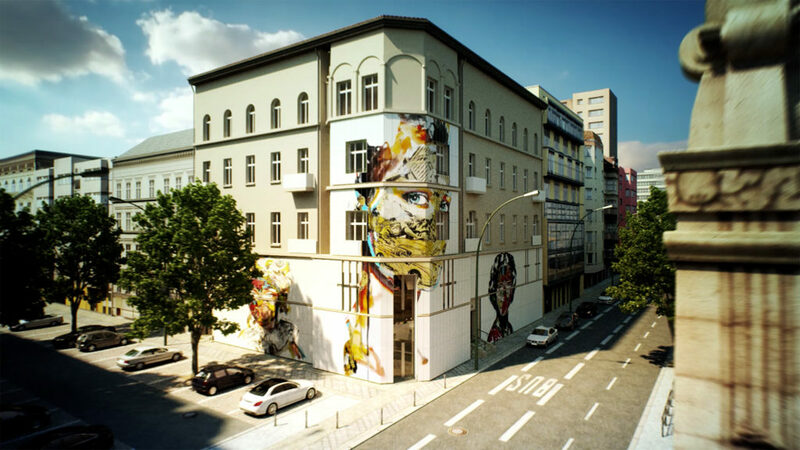 With its rich heritage of Street Art and Graffiti, it is only fitting that Germany’s first museum dedicated to the art forms should open in Berlin – the Urban Nation Museum for Urban Contemporary Art. 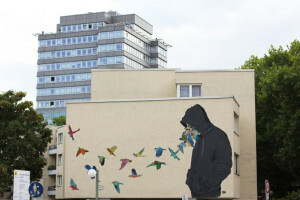 Graffiti and street-art are part of Berlin and vice versa. They function here as a local art form: it helped the West to keep the Wall colourful. Ever since the Wall came down they form and comment on the change of the city. What place would be better suited for this international and low-threshold art? 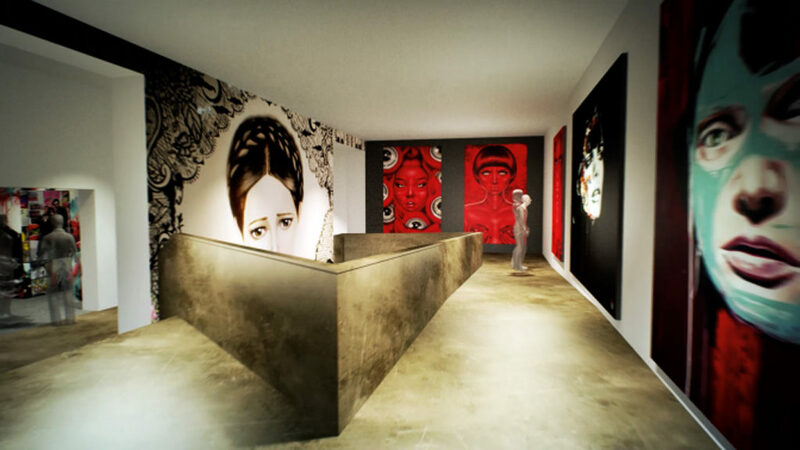 We are looking forward to the Urban Nation Museum in Berlin. Plans for the new museum, due to open in 2017 at Bülowstraße 7 in Schöneberg, were unveiled a couple of weeks ago and work has already begun on transforming the Wilhelminian-era former residential building. For the first time impressive art work of world-known and emerging artists of the urban contemporary art are brought together in one place. Here you find top-class art, its a place of research and a place of collecting. The collection will steadily be growing and will keep the museum alive. It is very exciting to participate in this unique project and to have an influence. A great thank you goes out to the artists, who work pro bono for URBAN Nation and for Berlin art and of course to Martha Cooper for providing us with her major work for our collection! 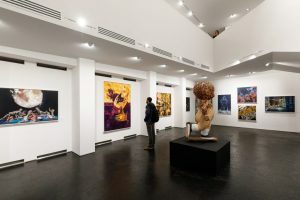 Urban Nation, part of the non-profit foundation Berliner Leben, established by the city-owned housing company Gewobag in 2013, has brought a series of world-renowned artists to Berlin over the last few years. LI-HILL, Ben Eine and DALeast among others have painted the façade of the future museum and regular facelifts are set to be part of its future. 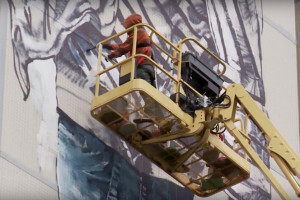 In addition, Urban Nation’s One Wall project has seen Herakut, Don John, Shepard Fairey, Fintan Magee and others decorate walls across the city. Over the last three years, Urban Nation has been amassing a collection of artworks from visiting artists and legendary photojournalist Martha Cooper recently bequeathed part of her collection to the museum for what will be the Martha Cooper Library. The plans for the new museum drawn up by GRAFT Architects include a catwalk stretching across the entire two- storey interior, which will allow the exhibited works to be observed both from a distance and close up. Construction of the museum has been made possible by a grant of 1 million Euros and a loan of 400,000 Euros from the LOTTO Foundation in Berlin. 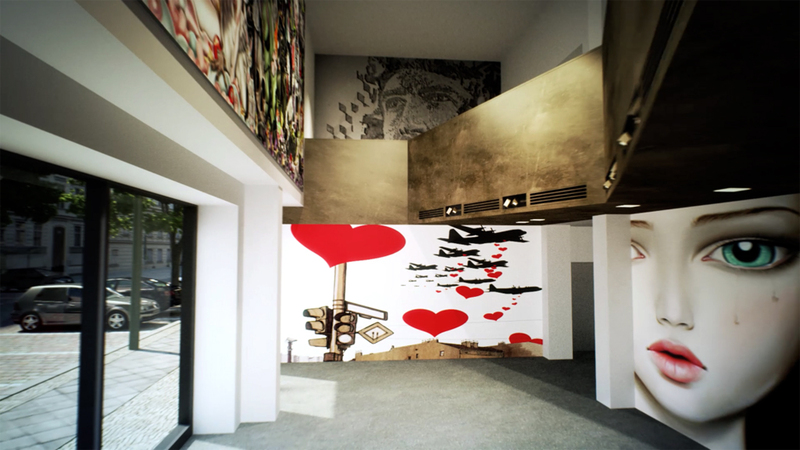 To get a better idea of what the Urban Nation Museum for Urban Contemporary Art in Berlin will look like, check out these renderings and the virtual tour below.